Cranwell Resort, Spa and Golf Club, in the heart of the Berkshires in Western Massachusetts, recently introduced new, more flexible “Spa Stay Packages” offering additional savings for spa guests. In addition to 10% discounts on all spa treatments, the new packages include spa and dining credits, unlimited fitness classes, and special savings on room rates for overnight stays. Guests also have complimentary spa use including the glass-enclosed heated indoor pool, whirlpools, saunas, steam rooms and fitness center. A choice of over 50 spa treatments is available and there is a variety of fitness class offerings from yoga and aqua classes to spinning and Zumba®. Rates for a one-night Spa Getaway start at $239 per person, double, midweek. The Girlfriends Getaway, which includes chocolates and shopping discounts at nearby Premium Outlets, is offered at $299 per person, double, midweek. Rates are effective November 1, 2011 through May 13, 2012. Cranwell is located just two and one-half hours from New York City and Boston in the historic New England village of Lenox, Massachusetts. This award winning resort features 96 distinctive guest rooms and suites, an 18-hole Championship golf course set on 380 hilltop acres, and is home to one of the largest resort Spas in the Northeast. With three restaurants and spacious banquet rooms, Cranwell also hosts numerous year-round conferences, weddings and social events. Cranwell Resort received the Condé Nast Traveler: 2011 Readers’ Choice Award and is listed in Zagat’s “Top U.S. Hotels, Resorts & Spas”. Additional recognitions include SpaFinder Readers’ Choice Award for one of “Best Spa Resorts for Golf” and the Wine Spectator Magazine Award for Excellence. Cranwell is a partner with Stash Hotel Rewards®, an innovative hotel rewards program that enables travelers to quickly earn free nights at distinctive, independent hotels without blackouts or expiration date restrictions. The resort is a member of Small Luxury Hotels of the World™ brand and is also a long time member of Historic Hotels of America, which preserves the authenticity of over 200 of America’s most prominent historic hotels and inns. Lansdowne Resort adds the best golf deal of the fall to its golf and spa package menu, with this Re-Tee for Free through November, 2011. With 45-holes of championship golf available at Lansdowne Resort, this all-you-can play golf package allows you to play as much golf as you can during your stay, while saving 50%. This package allows you to play as much golf as you can during your stay; upon check-in, squeeze in 9-holes on our Sharkbite family friendly course and in the morning, add 18-holes on the Greg Norman or Robert Trent Jones course. Whatever your speed of play, this package allows as much golf as you can play in 24 hours. 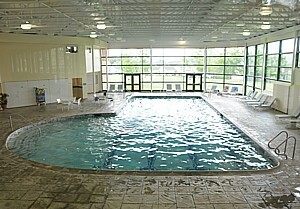 This package starts at $239/night and includes all the AAA, 4-star amenities of Lansdowne: aquatic complex and fitness center, outdoor dining in addition to five restaurants, from pub dining to farm to table dining in On the Potomac, and for an additional fee, the use of Spa Minerale, our full service spa and image center. Package also includes golf cart and clubs, if requested. Lansdowne Resort, a Four Diamond Award recipient, is the capital region’s premier, full-service resort. Managed by Benchmark Hospitality International, the resort is set on more than 500 acres of secluded countryside. Lansdowne Resort features 296 guest rooms and 14 suites, a multi-pool aquatic complex, 45-holes of golf, a 45,000-square-foot conference center, six dining facilities and Spa Minérale, a full-service spa. Follow on Facebook and Twitter. To learn more about Lansdowne Resort’s packages, call (877) 509-8400 or book online at lansdowneresort.com.